Today I rejoined DiGRA, the Digital Games Research Association. This feels appropriate. What does DiGRA do? It’s easiest just to look at the website, but basically it’s a standard organisation for – as it says on the tin – people who research games. There’s the usual executive board, mailing lists (most communications thankfully done online), and a major conference somewhere in the world, which used to be every two years but is now annual. An OA journal, plus a few special interest groups, covering player experience, game accessibility and role-playing studies, are also supported as is a bubbling community of younger researchers and students. It’s an interesting organisation; though not a huge one, it’s been slowly growing over the years as the quantity of games research, and researchers, increases across not just academia but other sectors. There’s a slight Nordic/European tilt to DiGRA, but they have members, and conferences, in other places. In the UK there’s plenty (and last years conference was held in Dundee), and there’s more than a few in the US. DiGRA also has chapters in a gradually increasing list of countries, such as China, Israel, Italy and Japan. I was a member for a while in the early days, and presented at the first DiGRA conference, in Utrecht in 2003. It was a small, but friendly and positive, conference. My paper and presentation were … not very good … and it’s very unlikely that an equivalent quality of paper would be accepted now. That is a good thing: the niche of games in learning has moved on a lot, my own personal research and writing have also hopefully improved, many more game researchers makes for (hopefully positive) competition and quality threshold increases, and the standard of content at DiGRA events is a lot higher. I haven’t been back since, and dropped out of DiGRA after a while. Several major life changes, relocating and moving to various places and countries (an island with no proper broadband for five years didn’t help), and non-gaming work opportunities meant I drifted to only doing game-based research occasionally. Despite this, I’m still regularly startled to see – and have mixed feelings about – some of my publications of that time continuing to be heavily cited. But, despite being otherwise busy over the last nearly fifteen years or so, I’ve kept in touch with some DiGRA members and other game researchers (social media helps with this tremendously), as well as popping up to attend and speak at various events, predominantly in the Nordic countries and the USA. Now, I have a sort-of plan for the medium term which is very much focused on games in learning research and work activities. Whether it works is dependent on a little luck, and a lot of hard work. Therefore, it seems sensible to plug into various relevant networks, and I’m pleased that DiGRA is not only still around but flourishing. So I joined earlier today, and I’m hoping to attend, possibly even present, at some future DiGRA annual conference – and therefore maybe set a record for the longest gap between presenting at two such events. It’s good to be back. The lead picture? Today is Sveriges Nationaldag, so I thought I’d choose a picture I’ve taken there. 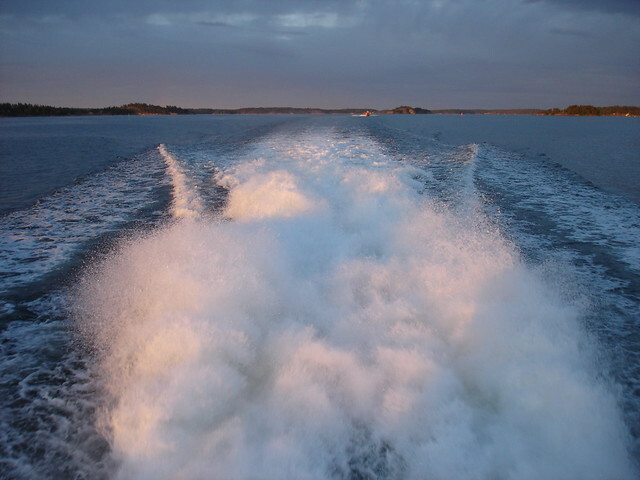 This has nothing to do with games, but what the heck – going around the Stockholm archipelago on ferries was one of the most enjoyable days of travel I’ve ever had. Happy National Day of Sweden!